How to turn on and off Updates for employees as an administrator. As an administrator, you have the ability to enable/disable the Updates feature for specific employees. To do this, follow the steps below! 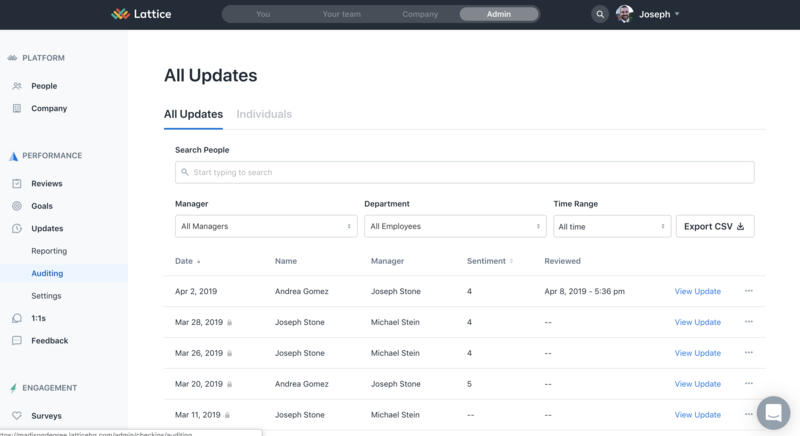 Step 4: Click "Individuals" next to "All Updates"
If you toggle on the status for each employee, then the manager and the employee will both receive an email notification letting them know. 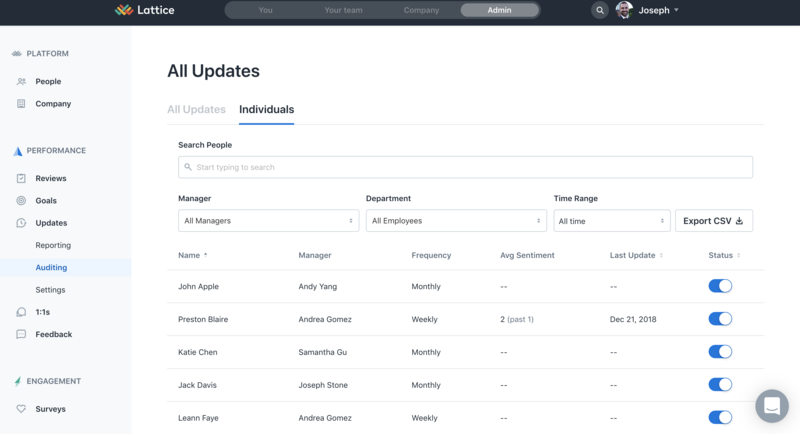 Note: if you change an employee's manager, their Update status will be toggled to off. This is because the system is recognizing this as a new change and the new manager will need to adjust the settings for that direct report.